After acquiring Hutch-Orange India, Vodfone England comes to India with Vodofone IN name. First they had started the same services as Hutch. But after having good competition with Idea Cellular and Airtel India - Vodafone also started their 3G services in all states of India. 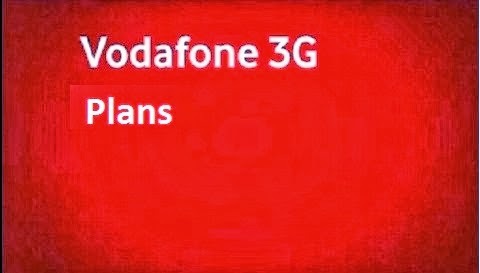 Vodafone giving long lasting experience to their customers as fast and unbreakable internet 3g and 2g services. Below are the revised 3G Internet plan for the running year 2015 (State Wise). >>We request to Please, visit official Vodafone India's website for Terms & Conditions.